“What a year! Certainly not the one I was expecting. Thanks to you all for your massive help and support, it was very encouraging. I'm still working on the album and managed to play three shows, not bad given the news a year ago. I'm looking forward to next year, seeing what you think of the record and touring as much as we're able. 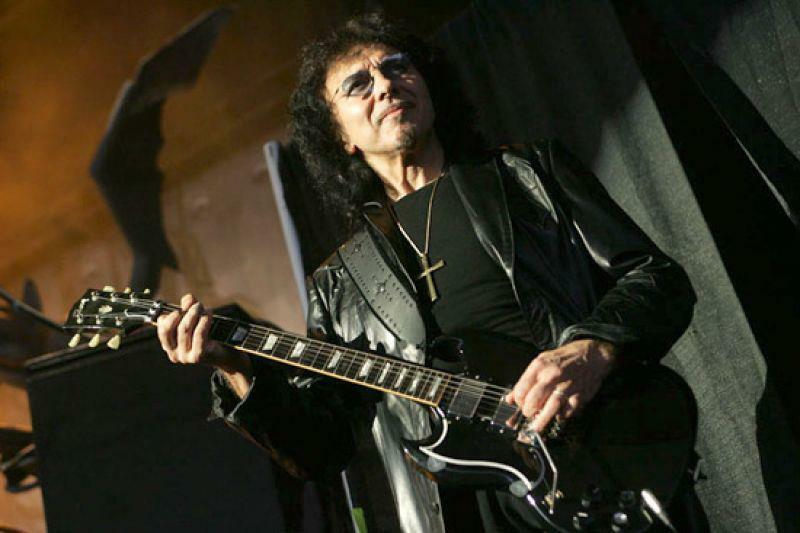 Iommi was diagnosed with lymphoma in 2011 and underwent chemotherapy earlier this year. The news came as a mostly-reunited Sabbath are writing and recording their first album in 33 years, working with producer Rick Rubin; drummer Bill Ward is sitting things out over a contract dispute. A full-scale reunion tour was shelved and the original dates were played by Ozzy Osbourne as a solo act. Sabbath played three shows this year: a May homecoming gig in Birmingham; UK’s Download festival in June, and Chicago’s Lollapalooza in August. The band will release their new album in April and have already announced dates in New Zealand and Australia that same month before headlining the first Ozzfest Japan in May.